A couple of weeks ago I did a quick post to show some items I picked up from Superdrug while they were offering free delivery on the website. One of these items was a body butter from the I love… range. 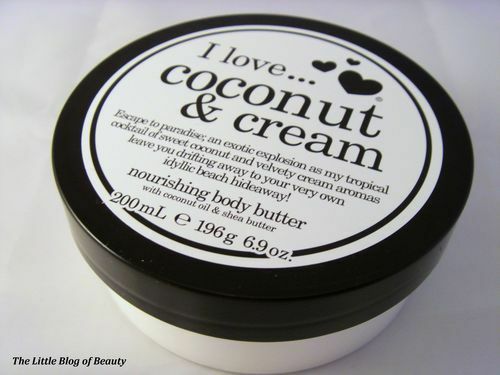 I actually got two of these body butters on a two for £2.99 offer (what an amazing price!) 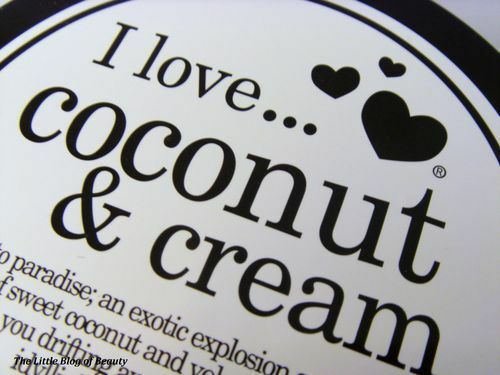 but so far I have only tried the coconut and cream one. 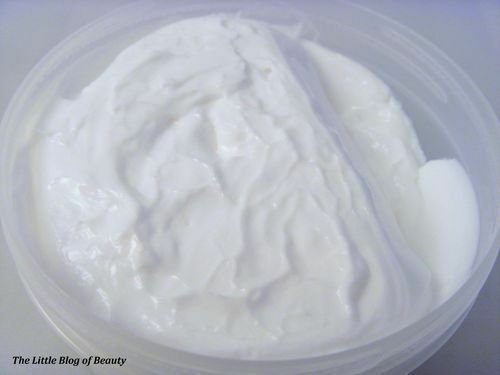 This contains coconut oil and shea butter to nourish your skin and leave it lovely and soft. 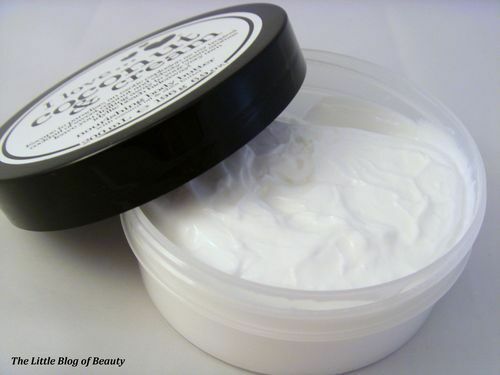 When you first open the pot you are hit by the amazing fragrance from this body butter. I would have thought it would have smelt mainly of coconut but I don’t personally think this is a very coconuty smell. It does however have an amazing creamy fragrance. Although this is a body butter and obviously more solid than a lotion it’s actually surprisingly soft, you don’t have to dig your fingers in to scoop some out you just run your fingers over it. This is really nice to apply; it sinks in quickly and leaves your skin feeling smooth and soft with a lovely creamy scent. Although one of these body butters had a good rating on the Superdrug website I tried not to get my hopes up due to the low price and the exceptionally dry nature of my skin at the moment. I am currently fighting against several patches of really dry skin, some of which are eczema, and nothing I have used recently seems to be able to get enough moisture into my skin to help with this. However this body butter has actually done a pretty good job. When I first apply this my dry patches feel better than they have felt for quite a while. I’m not quite sure how long this lasts, it doesn’t last through until I apply again the following day, but it does quite well compared to other products I have tried. For anybody who has normal or only slightly dry skin this would be amazing and even if you do have excessively dry skin like me this is cheap enough to use as much as you want as often as you need to keep on top of this without breaking the bank. I would definitely buy this again. I don’t know whether the offer is temporary but as I have mentioned selected I love… products are available on two for £2.99 from Superdrug.